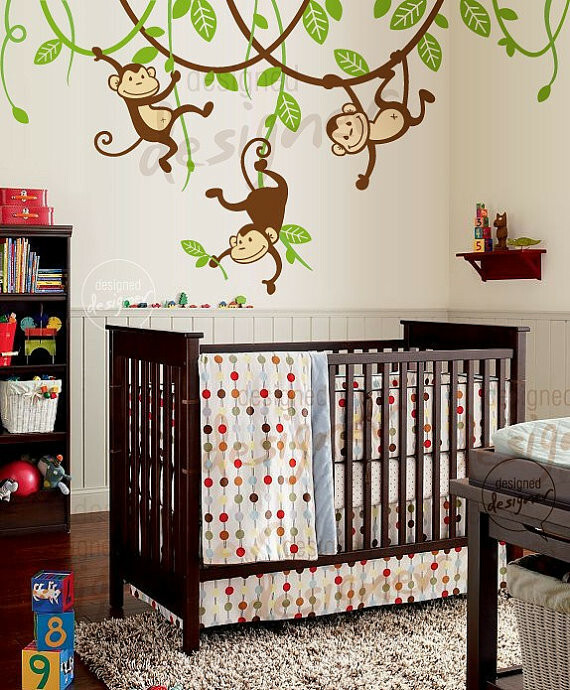 6 Monkeying Around - Leafy Dreams Nursery Decals, Removable Kids Wall Decals-Stickers SALE NOW ON! 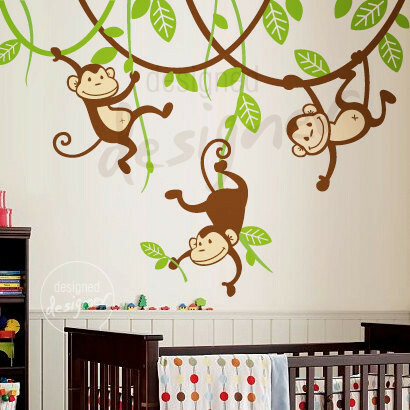 They are fun, they are cute, they are the monkey trio. Place the vines and monkeys wherever you wish. This decal looks amazing placed right up to the edge of the cornice or ceiling edge. ­- Easy to follow instructions and a test decal are included. Made from top quality vinyl from Germany and Belgium that is super thin to create a hand-painted look to your wall. Highly durable and washable. Removable but not reusable.